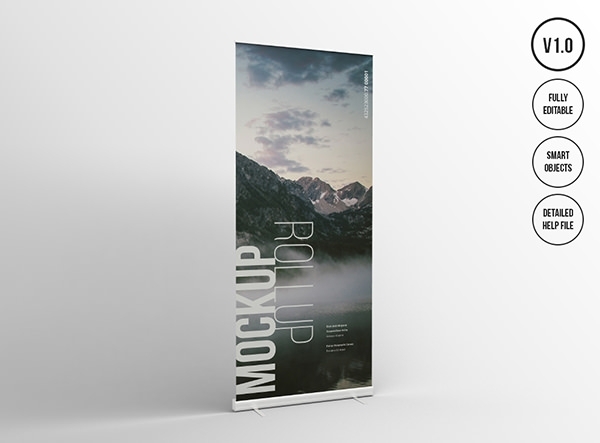 To show your art work, the Roll up banner mockups are awesome design aids. 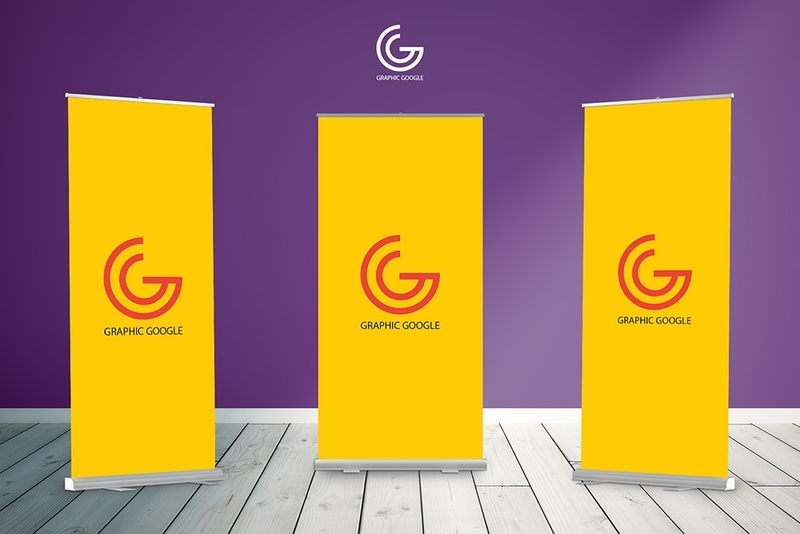 These are ideally meant as the printed design for front-stands with roll up banners, of the sorts one finds used extensively as marketing material and as POS material at stores. 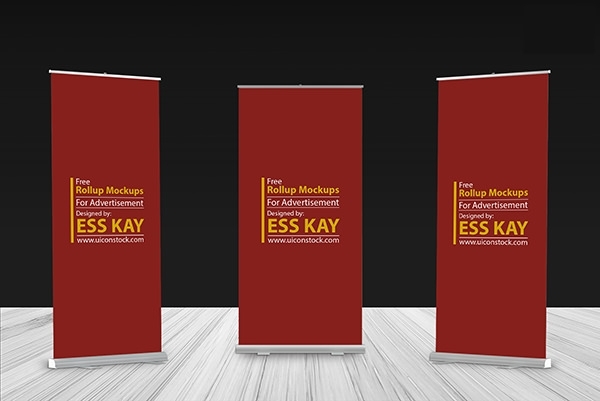 These roll up mock-ups help designers display their artistic skills by equipping them with the base-work to build upon. 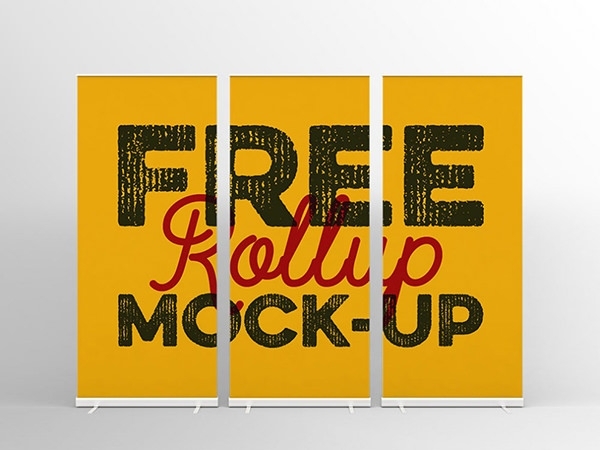 A number of free PSD files are available which can be easily downloaded and used to make the customised banner mockups. 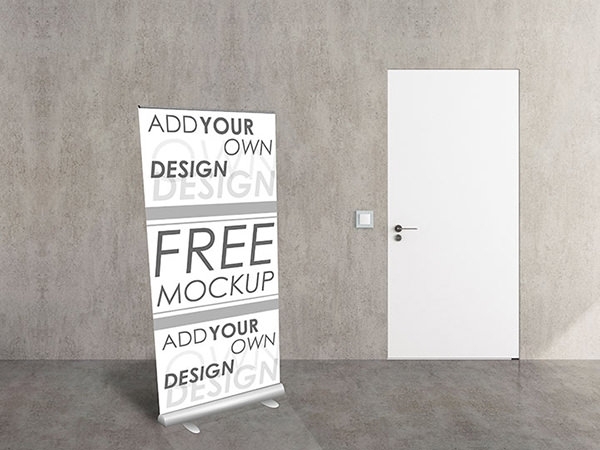 So get ready to present your design in one of the smartest ways and connect with your potential customers. 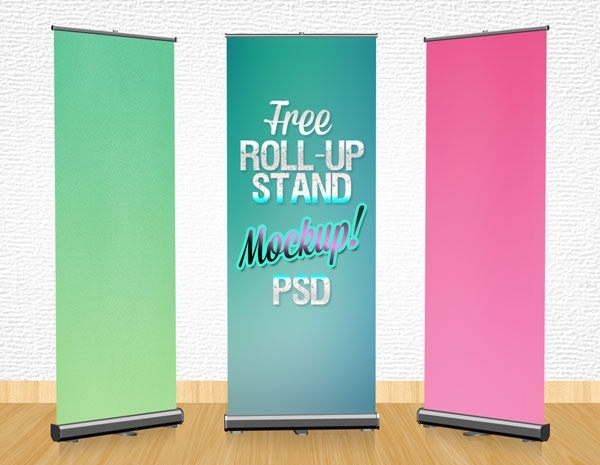 There are a number of PSD files available which can be used to create the layout of the design for the roll up banners. The pixel count, width and height can be changed depending upon the requirement of the project. Moreover, the colour shades, layer styles, etc. also needs to be managed depending upon the print size. The texture of the print paper also matters when it comes to the final output. 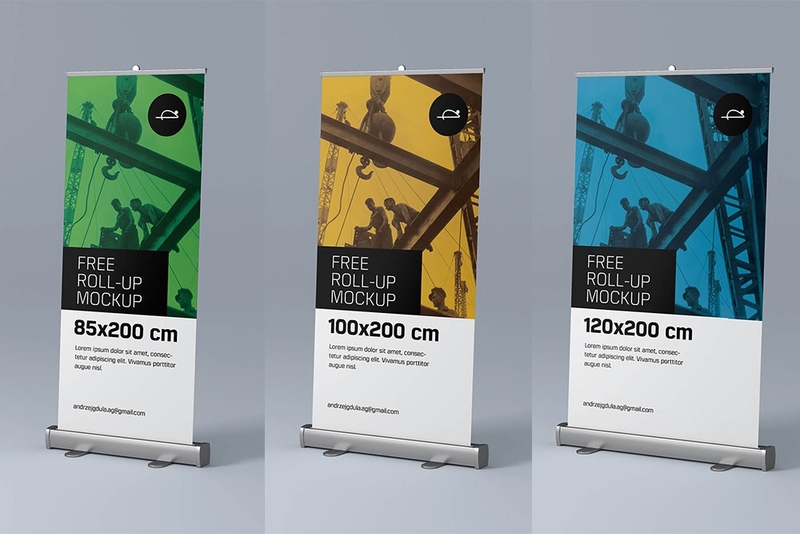 Follow the help file properly before actually getting the final design. 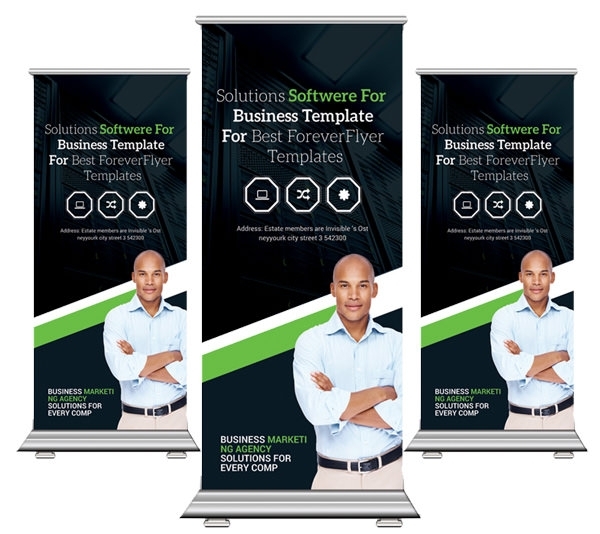 Although there are plenty of roll up banner presentation mockup designs available, it is the magic of the editing software that the original and over-used banners will look different than the rest. So it is the designer’s prerogative to make the artwork look exclusive. The colours, typography etc. 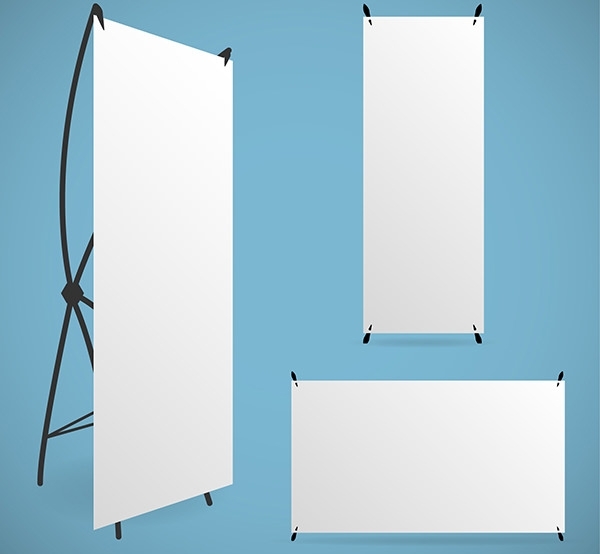 are some of the common factors that need to be kept in mind before starting to design. 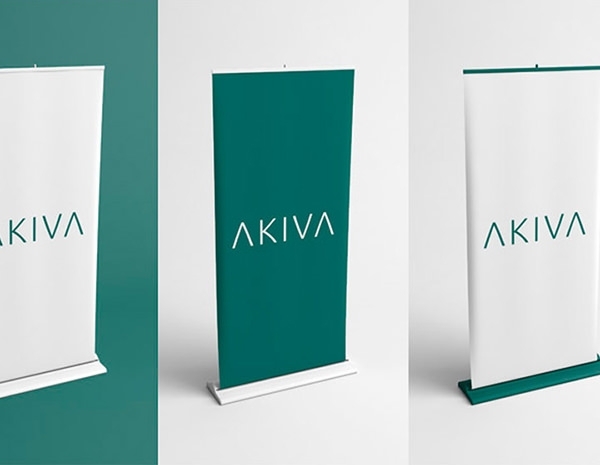 From black to iron, silver to golden, the background should be chosen carefully. 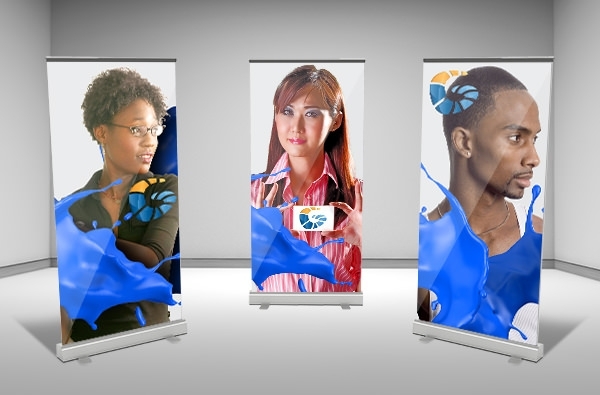 All the designs can be made into common digital formats like JPEG or PNG.